Stretching from Northwest Bergen County to Northern Hunterdon County, the New Jersey Highlands is one of the state's most important natural resources, critical to the environment and economy. For years, Morris County conservationists targeted this 129-acre site adjacent to Dixon's Pond as a key link within more than 5,000 acres of conservation land. Conserving this land also protects the area’s water quality as it supports a Stony Brook tributary and a Rockaway River watershed stream, in addition to the western edge of the pond. 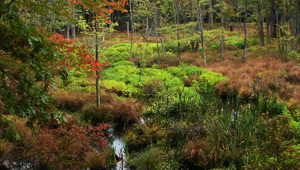 In March 2012, The Trust for Public Land helped purchase the Dixon's Pond property for Morris County. The New Jersey Conservation Foundation will manage the land and plans to obtain a trail easement that would connect it to the Copper Beech property.